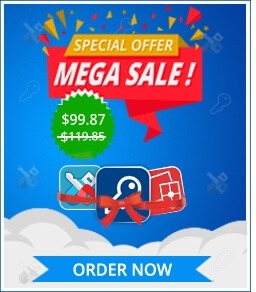 The Phenomenal Data Security Solution with more than 20 Unique Security tools. Folder Lock is the ONLY data protection with an online secure backup solution providing true end-to-end encryption and password protection of all your personal and confidential files at all times. With advanced government-level 256-bit AES encryption on your desktop and 128-bit encryption for all online communications, Folder Lock gives you End-to-End data security to protect all your data, thus, maintaining data confidentiality and integrity at all times. With more than 515 million records breached since January in the Unites States alone, leaving this kind of information and data open for access is a dangerous game, even for the well-versed of users. With information changing hands and data transfer figures at record numbers, critical files and folders like these need robust protection so that intruders or unauthorized users are stopped right in their tracks – whether to read, view, copy, move, or delete them. IF it is personal or confidential, it NEEDS protection! Files and folders left unprotected can lead to theft, data-loss, and breaches of your privacy, costing you embarrassment, money, lost data, and maybe even your job! Additionally, using the ‘Lock Files‘ feature you can quickly lock and/or hide each file, folder, or drive you specify without requiring you to move or copy your data to a Locker. All locked items are listed in ‘Lock Files’. This list not only helps to organize viewing of your Locked files, but also allows you to quickly edit files, with options to enable/disable the protection per item according to requirements. This removes the hassle of having to unlock and unhide each file and folder separately. Protecting your data on external drives is fast and extremely easy to implement. To secure your files directly onto your external drive, simply select the ‘Create Locker‘ option in the application and select your chosen external drive as the destination for your new Locker. Additionally, select ‘Move/Copy Locker’ to move/copy an existing Locker to your external drive. Please note that, by default, Lockers are created in your computer’s ‘My Documents’ folder. Over 25+ Million downloads. So Far! Come! And be part of the Folder Lock user-community.